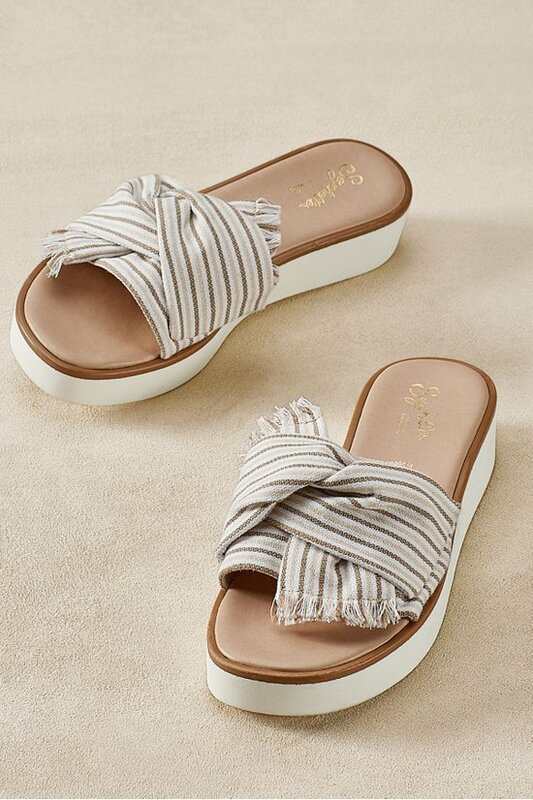 Incredibly soft fabric or leather tied in a casual slip knot brings immeasurable style to Seychelles' coast sandals. Sure to put a bounce in your stride, the sporty 1" white lug platform sole extends to a 1-1/2" heel. Easy slip-ons for a choice transitional look.